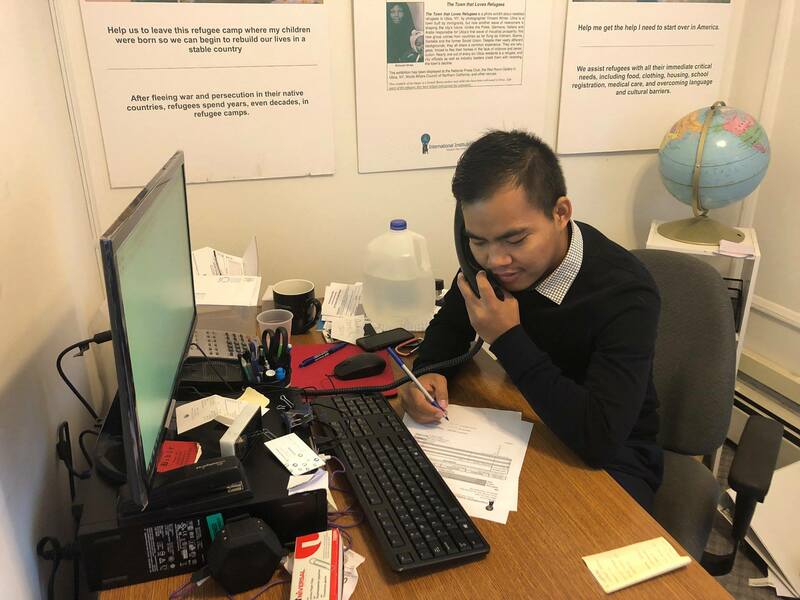 Born in Burma and a graduate of Medaille College, Kham Sian Sang works in New American Integration helping the Institute’s clients adjust to their new lives in Western New York. What has brought you to the Institute and how has it prepared you for your position? [KSS]: I went to Medaille College and studied Criminal Justice for four years with the intention to become an Asylum Officer (a person that works for USCIS-United States Citizenship and Immigration Services-and interviews candidates for citizenship.) 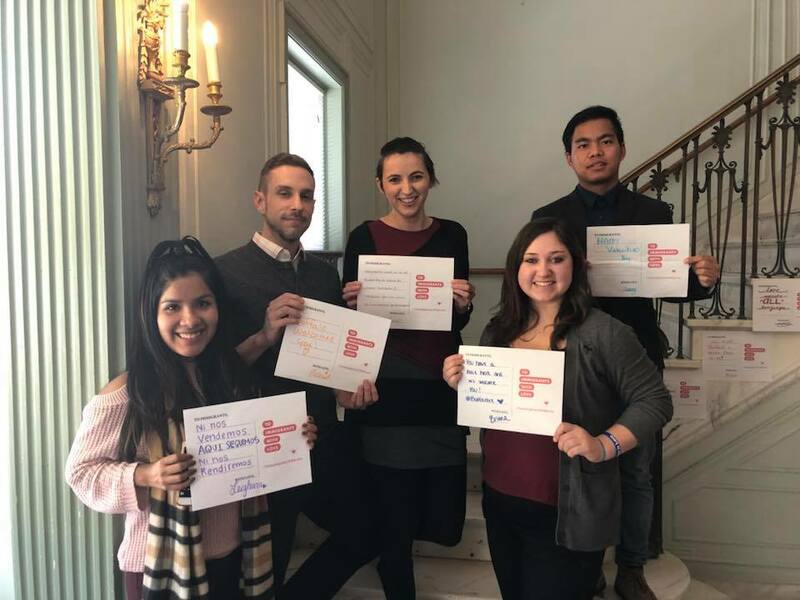 As a student in college, I was involved with student government and many international student organizations on campus that have really helped me with much of my work as a Case Manager here. I knew Denise (Director of New American Integration) and about the International Institute before because they resettled my own family when we first came to America. [KSS]: Having the opportunity to welcome new families into America and help them start a new chapter of their life. I know firsthand how difficult it can be to adjust to a new environment, so it is nice being able to help my clients in becoming independent and self-sufficient members of our community. Do you speak any languages, besides English? [KSS]: Burmese, Zopau and a bit of Chin. [KSS]: Being able to get my Bachelor’s degree in America; it is something that I have always dreamed of…something I never thought I would have the opportunity to do. Kham (upper right) with a few staff members from the New American Integration team. Where have you traveled to? Bucket list places? [KSS]: I have been to Canada and to visit family that live in different states here in the U.S. Every year in the summer, we meet up with others from my hometown in Burma for a get-together, which has taken me to places like Oklahoma, Indiana and Iowa. I would like to go to Australia. Can you share with us your own heritage? [KSS]: I am Zomi, which is one of the many different ethnic groups within Burma. [KSS]: Billy Graham. I would want to sit with him and talk to him about God and life; he is a very interesting person. [KSS]: I enjoy all sorts of different foods, not a very picky eater. [KSS]: I am a musician (drums) and songwriter; I am the working on writing a new album with a friend from Burma. [KSS]: Patience, kind and hardworking. [KSS]: I would like to thank my own case worker at the Institute, Rachel, for helping me with everything that I have accomplished since coming to America. I am happy that I am able to do for others what she did for me.